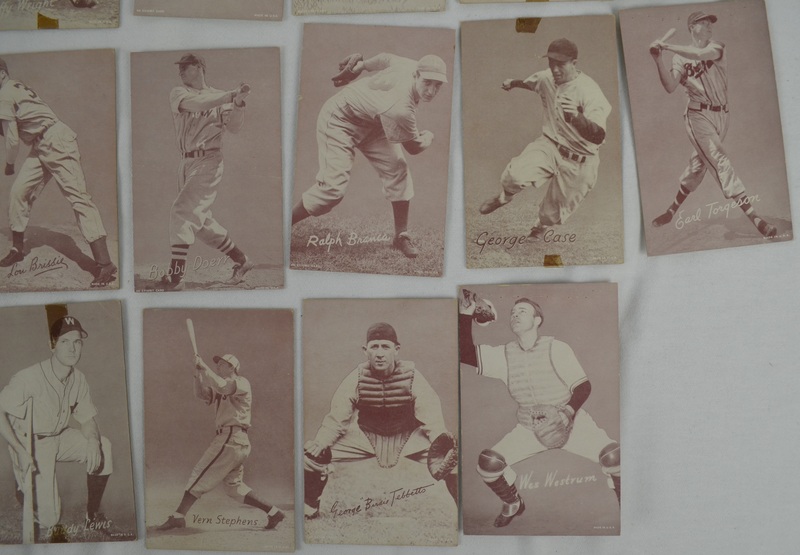 This lot features a collection of 56 cards from the vintage 1947 exhibit card set. The cards were created by the Exhibit Supply Co. of Chicago; the company released a new set each year from 1947-1966. 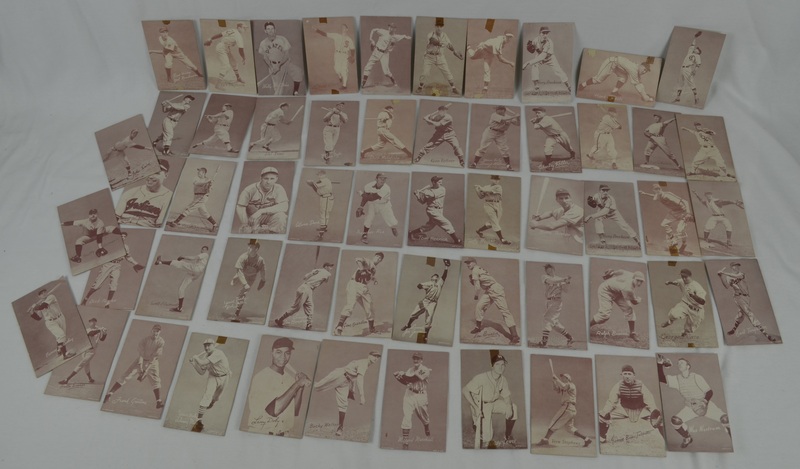 There are a total of 336 unnumbered cards that were issued over 20 years. 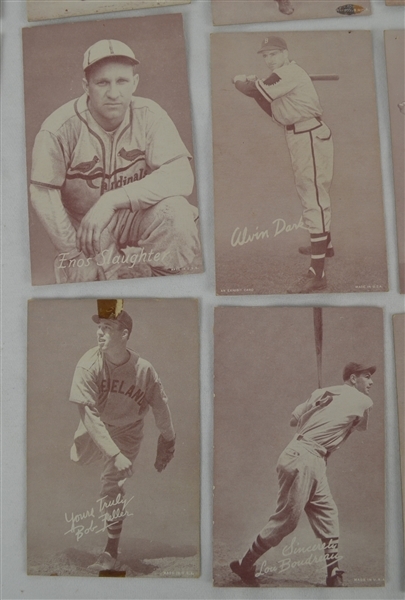 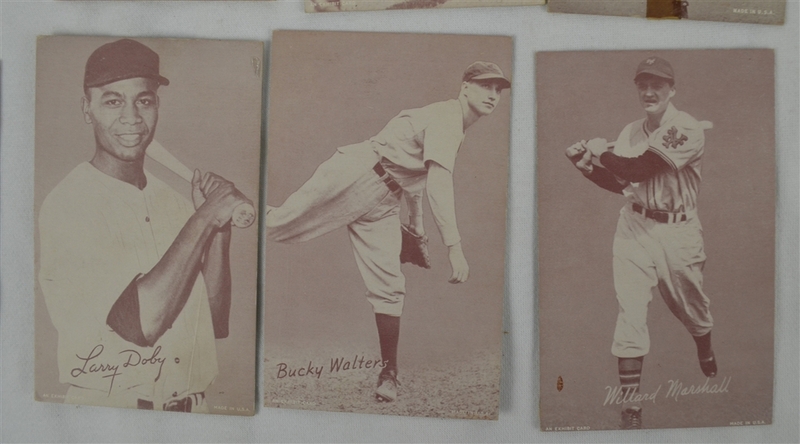 The cards feature black and white photos printed on thick cardboard and have blank backs. Many players were issued in more than one year while some only appeared in a few years, creating scarcities. 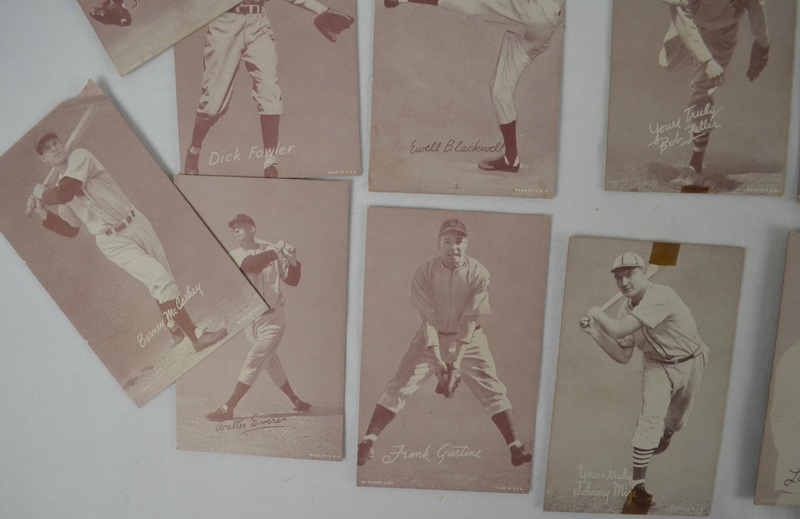 Cards that were released in only 1966 are rarer than others. Many differences are found among the cards is word placement. 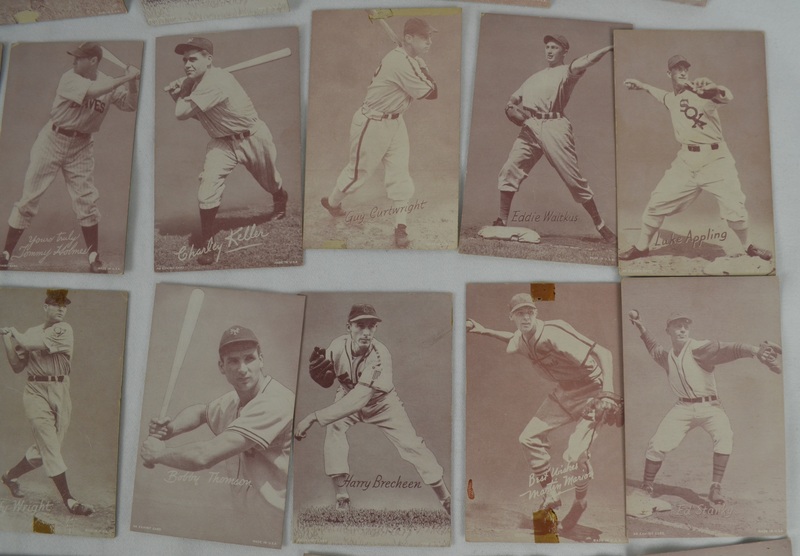 Cards include: Mickey Vernon, Luke Appling, Charley Keller, Barney McCaskey, Marty Marion, Tom Henrich, Preacher Roe, Enos Slaughter, Walker Cooper, Bob Feller, Lou Boudreau, Joe Gordon, Bobby Doerr, Bobby Thomson, Ralph Branca, Lary Doby, Bucky Walters and Johnny Mize among others.